« On the Jersey side…. The north north end: citizens up in arms about it in Asbury Park. Someone ran out of peddling room at the North End of A. 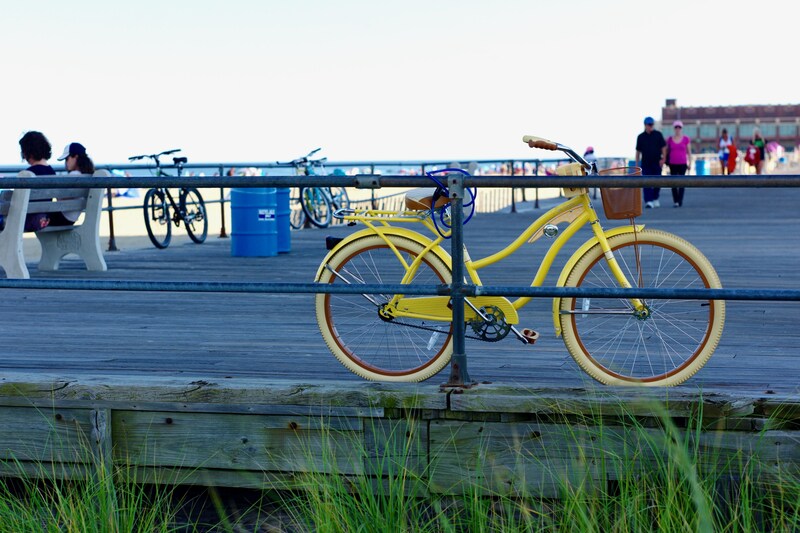 Park, so they locked the bike and maybe they are flying a kite or body surfing on the beach.. Asbury Park Boards. Paul Goldfinger photograph © 2015. Blogfinger.net. There are citizens in Asbury Park who have formed a group to protest plans for their north end. The details don’t interest us much, but it involves implementing a plan from 2004, that the protest group feels is wrong for their city. It relates to a private beach being developed there, boardwalk design, and concerns about access for everyone, not just a privileged minority. But what strikes us at Blogfinger is that when worrisome plans for their north end beachfront surfaced now, activists have sprung into action with meetings, petitions and protests. As a result a meeting was held tonight, and the City Council will review the situation. . And one of the requests by the people is for “transparency,” and their developer, iStar, will be having a public presentation open for review and discussion. In addition, the Asbury Park Press and Channel 12 picked up on the story today. Unlike the relationship of the Neptune Committee to the citizens of Ocean Grove, the Asbury Mayor and Council are supportive of the people’s concerns. But Ocean Grove is much different, with creeping inertia on the part of the public, and it will get whatever the big-shots want at our North End. I don’t think the North End project will ever happen in Ocean Grove. This opinion is based on nothing but casual observation. They have been at this for how long? There has been little visible progress. Unless a lot more is happening in the dark, so what will change to start groundbreaking now? Interest rates are rising, making the project more expensive to finance. And then there are the necessary inducements to the local authorities, which are sure to be a big negotiation. Many obstacles to overcome, hopefully too many.